Thanks to the Netflix show triggered by her best selling book, Marie Kondo has become a household name for all de-cluttering and re-organising woes. Hoarders be damned. There’s a global cleaning binge happening right now and there are no excuses. For the obsessive-compulsive worshippers who swear by the “life-changing magic of tidying up”, the reward is a neatly stacked drawer, a fresh take on folding, improved relationships, and a designated place where you’ll always find your keys. Who doesn’t want that?! But before carting away the garbage bags of clothes and the boxful of books, there’s the underlying message: stuff does not make us happy. 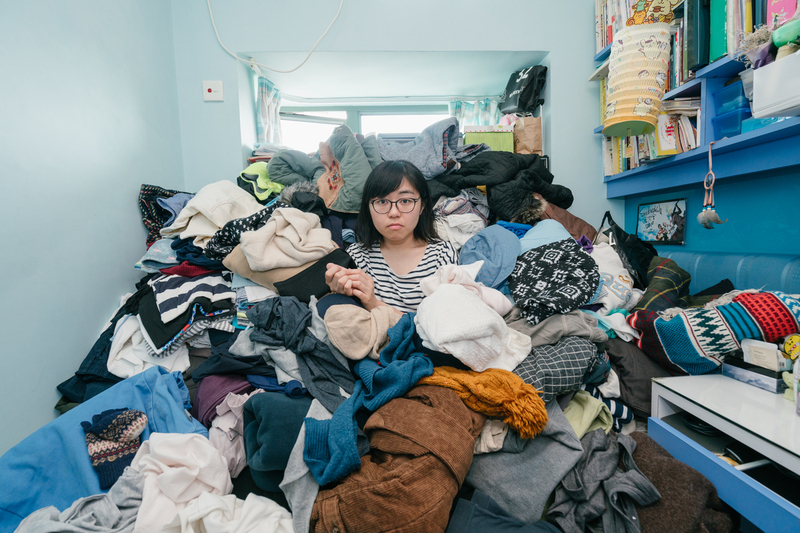 By using the “KonMari” method of piling everything by category rather than location, we are faced with the honest truth of what we own, not to mention the realisation of time, energy, and environmental resources that has gone into producing these goods, many of them unwanted. When our garages, closets, or unreachable shelves are filled to the brim, so are the Earth’s natural resources. 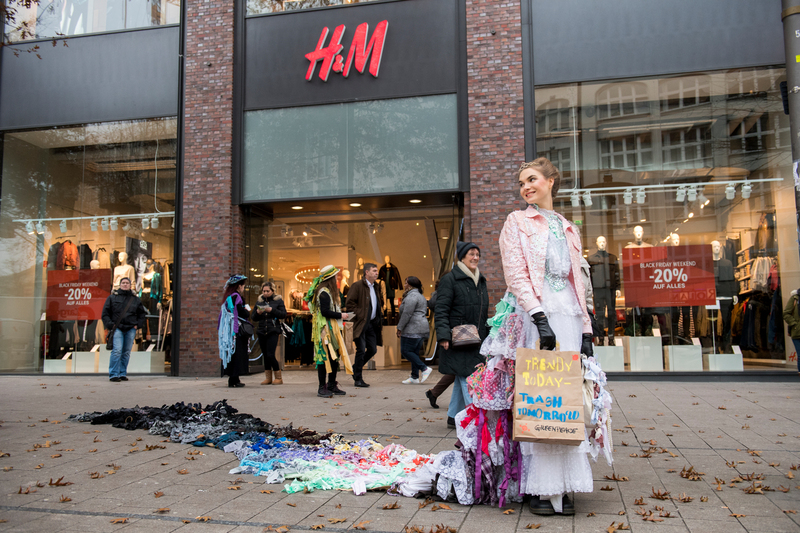 This “Trash Queen” wears a seven metre long train made from used clothing. 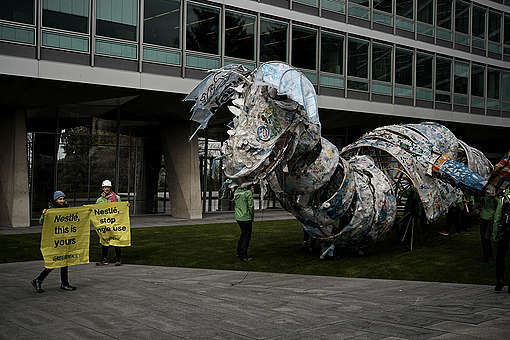 Greenpeace activists present the Trash Queen as an ambassador of the Detox Our Fashion campaign and call on the public to pursue a sustainable fashion lifestyle. The message on the paper bags reads: “Trendy today – Trash tomorrow”. What may have once been a tool of efficiency, single use plastic (and cheap plastic stuff for that matter) are a burden on the planet. For a long time, corporations have tried to pass the blame and responsibility to the public so they can continue churning out cheap throwaway packaging in the name of profit. 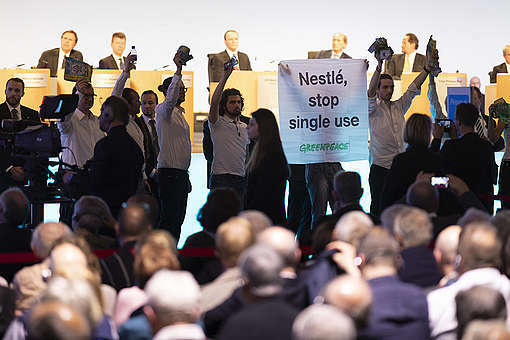 But in 2019, companies like Coca-Cola, Pepsi, Unilever, Procter & Gamble, and Nestle need to make real commitments to reduce their production of throwaway plastics immediately. Living zero waste and searching for sustainable alternatives is as achievable as spending a weekend cleaning out your room. After all what what does “joy” look like – an ocean full of fish or an ocean full of plastic? Is there a heaven for forgotten gadgets? With the amount of smartphones and other non-stop evolving tech products on the market it would seem so. Instead, “gadget heaven” is the back of a drawer, tangled up in a sea of unusable USB cables and a landmine of cracked screens. This year, Apple is already apparently set to release three new versions of the iPhone, despite the fact that Apple sales are lacklustre, with customers feeling overwhelmed and unimpressed with upgrading or purchasing something that doesn’t seem any different than their existing device. Up cycle plastics to fencing for pools, blocks for building landscape walls? Thank you for bringing attention to the cheep fashion, wear it once situation. Because of the micro plastics, we need to purchase fabrics that stand the test of time and that are renewable.